Lenovo has officially revealed an updated ThinkPad X1 Yoga at CES 2017 in Las Vegas, bringing customers a new convertible notebook that gives possibly the best Windows 10 experience with its multi-mode flexibility, high performance functionality, and pen use that is said to feel more natural. For the first time last year, Lenovo has brought its concept of convertibles to its ThinkPad lineup with the Yoga line. The addition proved to be fitting, as it gave users more device options that will adapt to their needs. Same with the X1 Carbon, the latest ThinkPad X1 Yoga has a 14-inch OLED display that boasts spectacular color definition. It is a tad thicker and heavier than the X1 Carbon, though, measuring 17mm thick and weighing 1.42kg. It is also noticeably heavier and slightly thicker than its 2016 version, which was only 16.8mm thick and 1.27kg heavy. 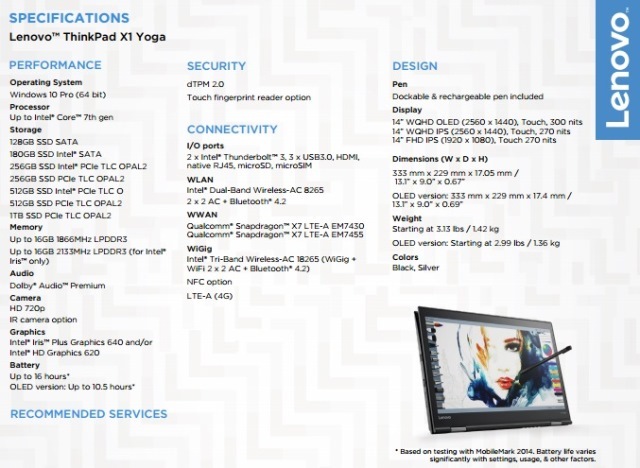 Good thing that the X1 Yoga now comes with several improvements such as on security, despite not having a smaller build. It is equipped with an Intel Core i7 processor and now has an Intel Iris Graphics with dedicated high bandwidth and high speed memory, which is considered to have the capability to outperform the Intel HD Graphics. The X1 Yoga comes with a redesigned pen called the ThinkPad Pen Pro that uses a new soft elastomer tip. Its bigger friction on glass offers a more natural writing experience. It also has an improved rise and fall keyboard, with complete set of ports such as the Thunderbolt 3, with up to 15 hours of battery life. 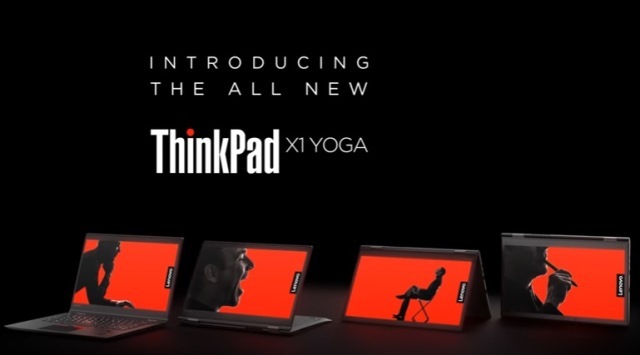 The Lenovo ThinkPad X1 Yoga comes in black and silver options, and will be available in key markets sometime in February with a price starting at USD1,499.